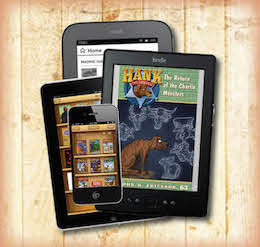 We know you're probably on-the-go more these days now that the school year has started back up, and to keep up with your busy schedule, did you know that you can enjoy your favorite Hank the Cowdog books in all major ebook formats? Try one today, and add a few laughs to your week! We hope you enjoy them! !